Yet another use for Play Doh! 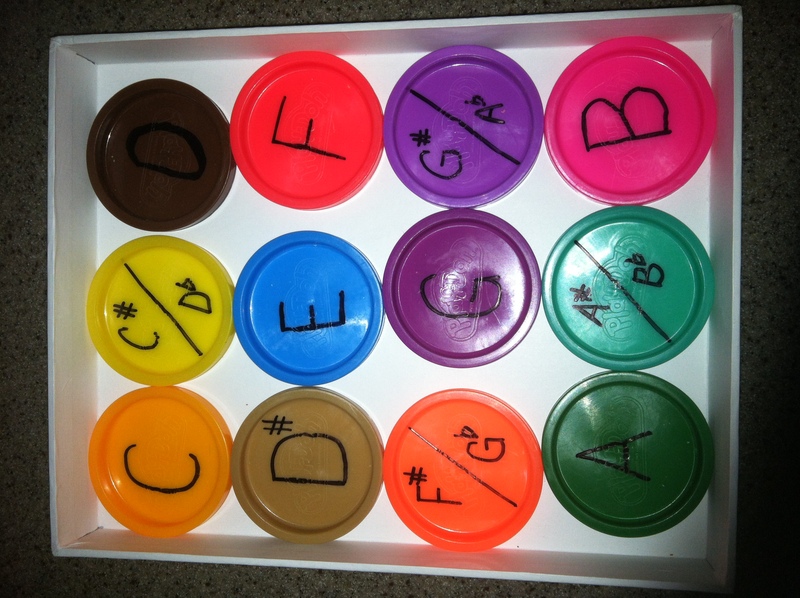 I wrote out all the music alphabet (including sharps and flats) on the tops from empty Play Doh containers. I can think of so many ways to use these in music teaching. Sometimes it’s hard for students to grasp that there are 12 individual tones in music. This way they can see it in full color! -This can be done starting on ANY note so students get fluent at stepping up and down on the staff. -Notes can be left out also so that students can name the missing note to complete the pattern. – If you are using a color code for piano notes/keys such as with Yellow Cat Music Education (great for students with dyslexia or who have trouble reading music notation), you can also use it when putting your own letters on the play doh caps. What fun!